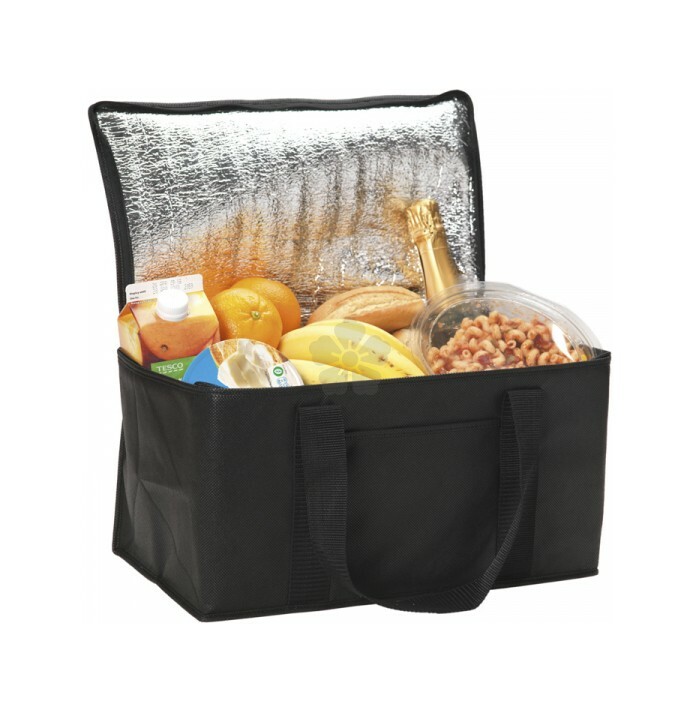 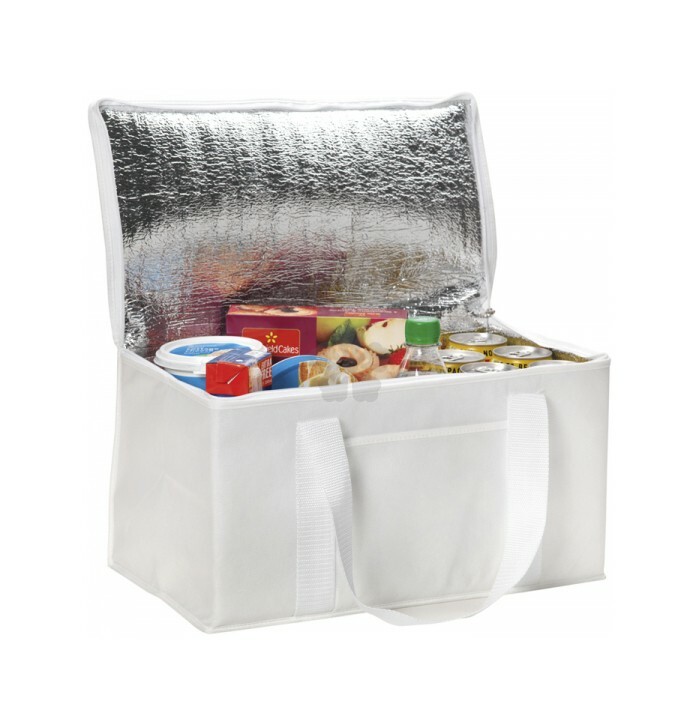 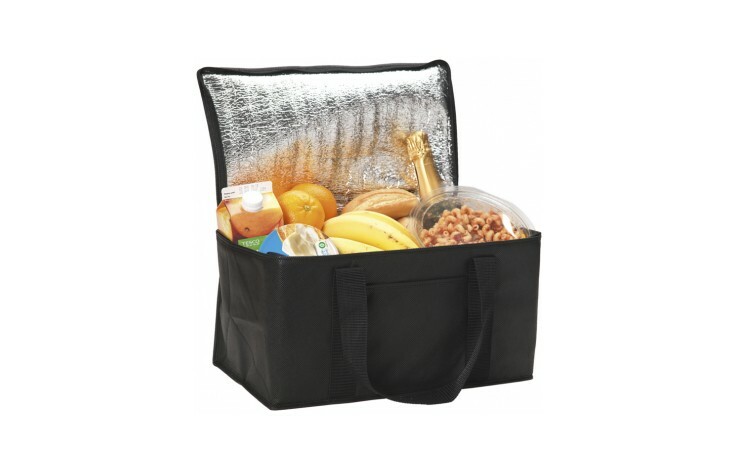 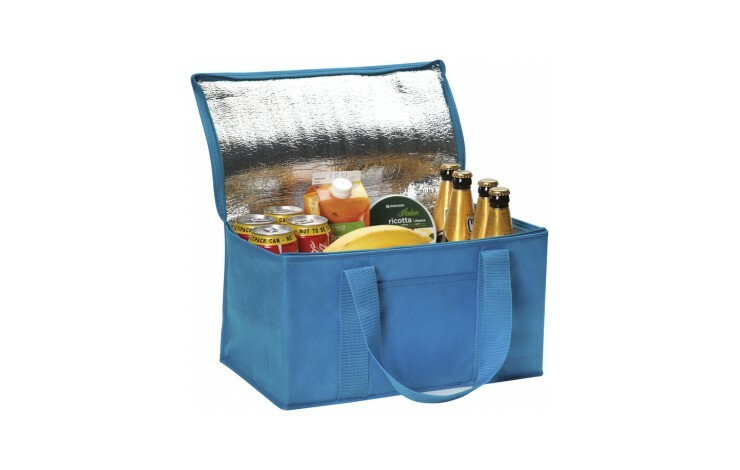 Say goodbye to a warm picnic on the beach with our custom printed Large Rainham Cooler Bag. 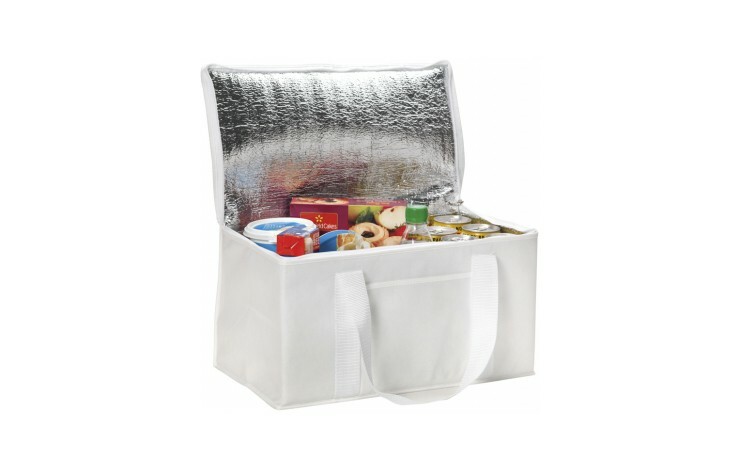 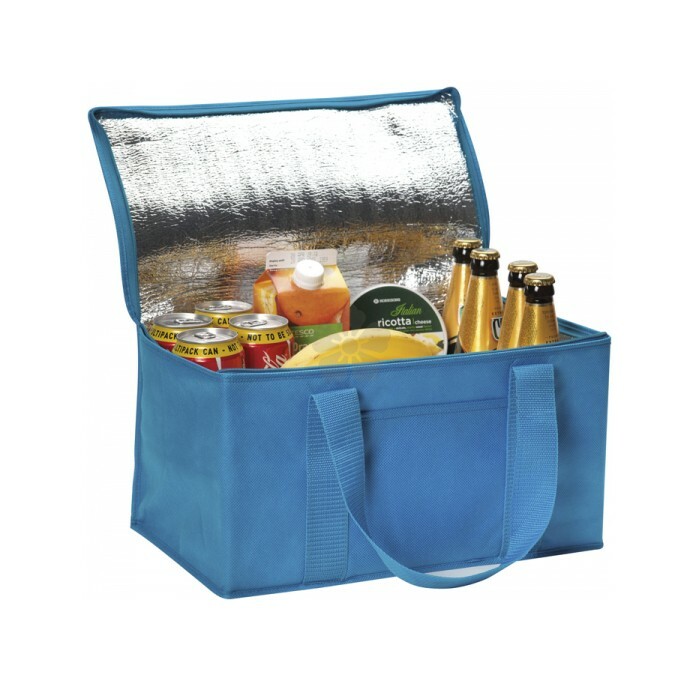 This generously sized 12 can cooler is made from partly recycled REACH compliant 80gsm Non Woven Polypropylene. 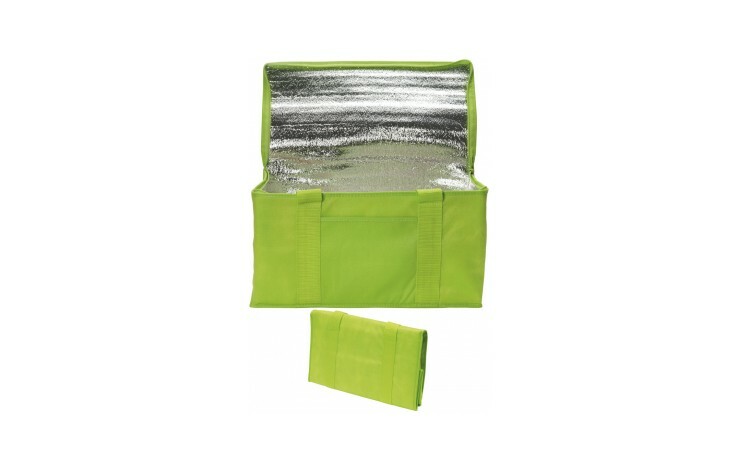 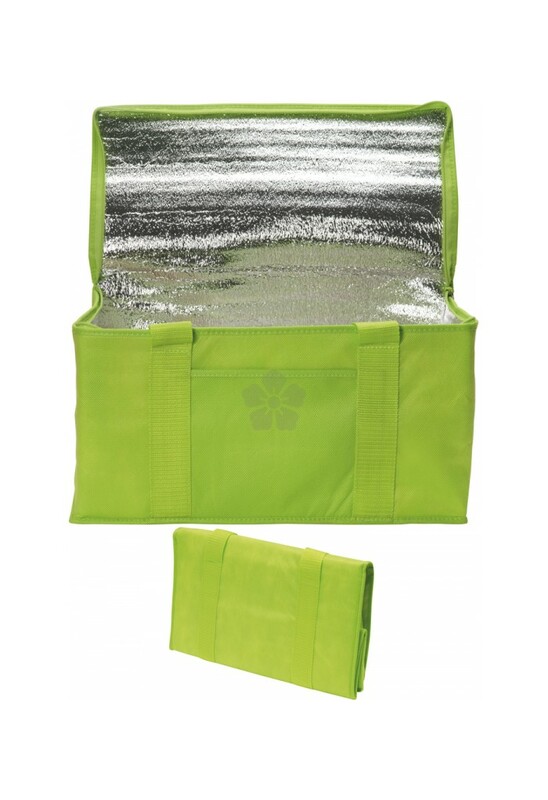 With a front slip pocket printed with your logo and carry strap.